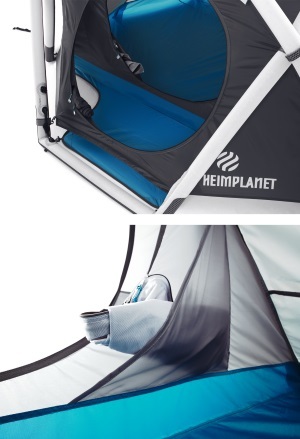 The Cave is the name of the first inflatable tent from HEIMPLANET. 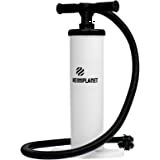 All it takes is a pump and in less than a minute your tent will be pitched. 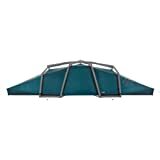 It is extremely stable, weatherproof and made from high-quality materials. The inflatable geodesic structure ensures an outstanding stability and easy setup of The Cave so you can get the maximum out of your trip. 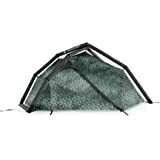 We translated this principle into our “Inflatable Diamond Grid” – IDG and our inflatable tents. 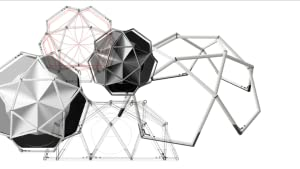 The inflatable geodesic structure is built out of modular double-layer airbeams. This ensures outstanding stability and easy setup of our tents – so you can get the maximum out of your trip. Our patented Multi Chamber Safety System enables you to inflate the entire air frame (IDG) in one single step. Once inflated, the air frame can be divided into separate chambers, which ensures sufficient emergency stability in the event that a part becomes damaged, because all the other airbeams will remain stable. It is also possible to localise the defective part very easily to repair or replace it. All parts of the Inflatable Diamond Grid can be easily repaired or replaced. Even with the most resistant materials damage cannot be ruled out entirely. Each of the airbeams features a casing and an inner bladder – very much like bicycle tires do. The inner bladder can be easily patched or replaced. Should the casing ever become damaged, it too can be replaced. Heimplanet is inspired by the excitement of traveling: Traveling keeps you feeling alive. All your senses are alert and you are always expecting something new to happen. You constantly adjust to new situations, new people, new cultures, and new environments. There is less to rely on and more to discover. If you open up to the experience, you will learn not just about new things, but also about yourself. – Embrace the difference, join the moment and make yourself at home, wherever you go. We develop products that work in a great variety of surroundings and situations. At Heimplanet we combine the best technical features available with a clean and simple design. The results are extremely versatile products that fit for every trip and everyday, wherever you go. 5.0 out of 5 starsI recommend. As far as backpacking tents go this tent is by no means traditional. 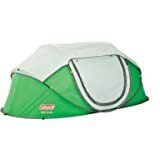 I am a bit hesitant on giving this tent a full 5 stars, but I feel as if for each negative it has an amazing positive. I have spent about 25 nights in this tent and have loved it. The first thing you notice when setting this tent up backcountry is how easy it is. You literally open the valves and pump it up and steak it down. The average time is around 6-10 minutes. This is also equally easy to take down but on average without trying to hurry can be take down in around 15 minutes. 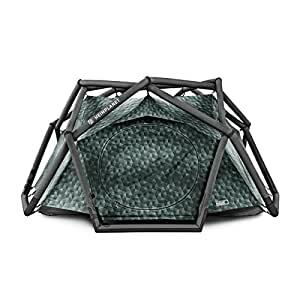 The negative with how this tent folds up is that any water not shaken off gets folded up in it and can be aggravating Because the rain fly and inner netting and tube frame are all one unit after you put them together. So this can make it difficult to clean because to separate each part and shake it out is not easy but can be done after the trip at home pretty easy. 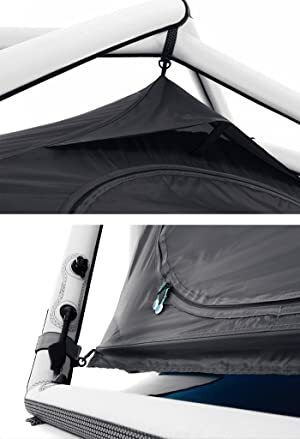 The second positive is how amazing this tent handles wind. 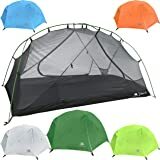 With living in Wyoming and frequenting Colorado and Montana for backcountry trips the wind can get pretty crazy in the mountains and this tent takes it all. 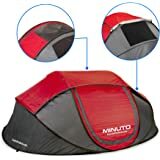 the negative is that the vents on the tent can't be closed from the inside and don't 100% seal when closed. Thus a little wind gets in always. Next is the weight of the tent. 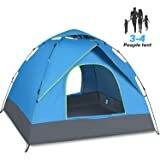 The tent is very light for a tent of this size, and it does fit three different 6 foot tall college men with backpacks shoved to one size of the tent, this tent is very nice for coming in at 10ish pounds. ( depending on the pump you get). The con here is that even being light the tent still is pretty large when folded down into its compression sack. About the size of two compressed backcountry sleeping bags. so the trade off of weight and ease of set up is countered by the size that you have to strap to your pack. 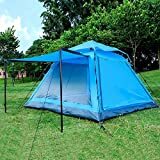 One thing compared to other tents I have used is that there are almost no vestibules only two small ones for boots) thus all backpacks have to be stored inside the tent. 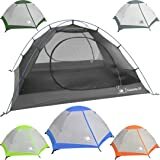 This is a minor inconvenience because there is so much floor space but it is one that also has benefits that you wouldn't think of with a normal more square footprint of a tent, these are that you can access anything in your pack easy and not have to unzip doors to get at it and in cases of uneven terrain you can use your pack as a leveling piece kinda like a giant wedge pillow. All in all with this nontraditional tent you get a very nice tent that sets up fast and handles wind, rain, and snow well. 4.0 out of 5 starsFinally, relief from threading aluminum poles every day. I go on bike tours. That means setting up a tent, and striking it, and moving on to the next spot, over and over again. After a while, folding up and threading aluminum poles (especially in the dark!) becomes a huge annoyance. So I got this tent. 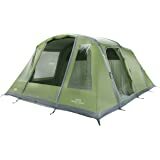 This tent is all one piece, including the optional groundsheet. I just unroll it where I want it to go. When I'm packing it back up, I open the valves, fold the sides in, roll it up in one direction, and then unroll it and roll it back up in the other direction. This drives out almost all the air, and I can then stuff it into a large compression sack or directly into an extra-large pannier. Easy and fast. The compromise I'm making for this convenience is of course the weight. 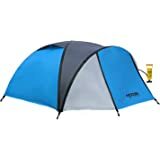 This weighs about 50% more than most other tents of similar size. Given how important weight savings is on a bicycle, that makes this a tougher call. 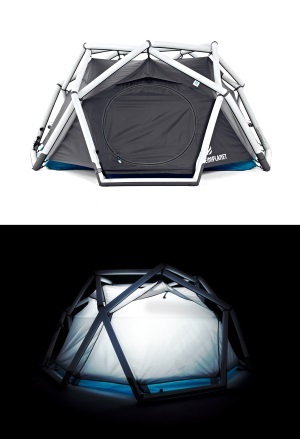 My dream was to find a portable device that I could attach to this tent, and have it inflate automatically. But all the portable inflators (and I've looked at dozens) have one of two defects: They do not make enough air pressure, or they are slow and loud as heck. You can't show up at a nice calm campground with other people nearby and then start a device that goes BRPRPRPRPRPRPRP for 20 minutes. You'd get pelted with granola. I also thought about getting a full-size floor pump to inflate this thing, but it's too bulky to carry on a bike. So I gave up, and got the smaller Heimplanet-branded handheld pump. Turns out, that small pump is pretty darned efficient. I'm able to inflate the tent in a little under 3 minutes, without much effort. I've attached an 8x speed video to this review. Two other relatively minor complaints: The front door is a bit small, and when the outer rain cover is in place, it's a bit dark inside. 5.0 out of 5 starsFantastic! 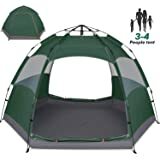 Very sturdy tent when assembled. This is a surprisingly sturdy tent when assembled. It is the sturdiest tent I have ever slept in. The first time we camped with it we were basically in a wind storm, and it kept us really well sheltered. Everyone else had standard dome tents that were totally flattened by the gusts of wind, and our tent didn't even move! It's a rock! From the car I was able to get this thing unpacked and assembled and inflated in less than 10 minutes without even rushing. When I was done camping, I was able to deflate and pack the tent down in about 15 minutes! It's a bit more work than inflating, as you have to roll it to deflate, then unroll and repack it, but was still quite easy to pack. The only disadvantage is that it is a little bit bulky when packed down, even though it is quite light. Also, this NEEDS to be staked down, that is really a requirement compared to other tents. The interior looks awesome (as the the space age exterior), and it has a ton of headroom. We put a queen-sized inflatable mattress in the bottom, and there's still room for your bags too. All in all this is a 10/10 tent. I love it! 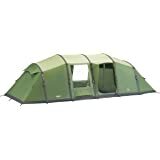 Nicely made tent but too small for three people as advertised so I sent it back. Perfect size for one person, two can fit but tight. Three if only all kids. good product. horrible to non-existant customer service.